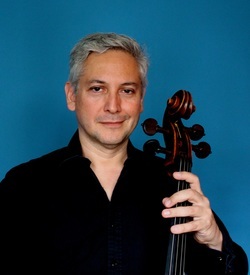 ​John Koen joined The Philadelphia Orchestra in 1990 and will become Acting Associate Principal Cello in the 2015-16 season. He became the Acting Assistant Principal in 2011. He graduated from The Curtis Institute of Music where he studied with David Soyer and Peter Wiley of the Guarneri Quartet. He has collaborated in chamber music with artists Emanuel Ax, Joshua Bell, Christoph Eschenbach, Stephen Hough, Lang Lang, Wolfgang Sawallisch, Jean-Yves Thibaudet and many others. He has performed both as a recitalist and soloist with orchestras across America as well as in Bulgaria. He has given master classes in Universities from Seoul to Sofia, and has taught at many in the Philadelphia region, primarily Temple University. He was nominated for "Best Instrumental Performance" for his recording of "Seven Mad Gods" commissioned from Robert Maggio. He received the C. Hartman Kuhn award from The Philadelphia Orchestra in 2005 for “a musician who has shown both musical ability and enterprise of such character as to enhance the musical standards and reputation of The Philadelphia Orchestra.” As chair of the Musicians, he has led his colleagues in the orchestra frequently during the turbulence of the last decade. His interests include languages, cooking, reading, technology, traveling and playing with his two cats.